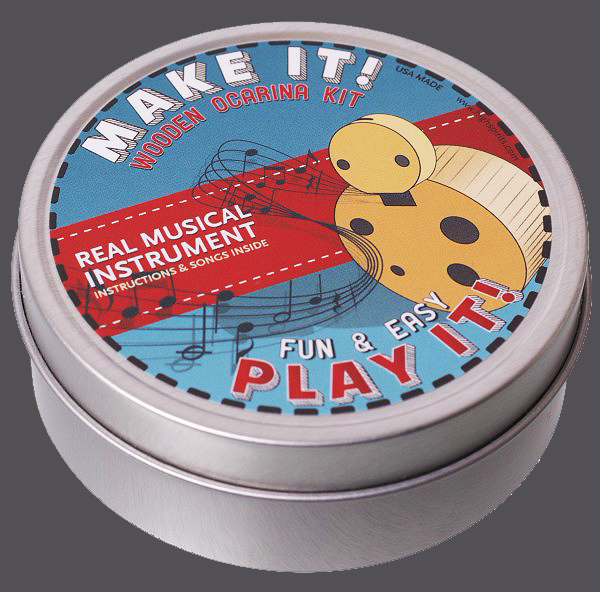 We were asked to create a product identity and packaging concept for this cute, DIY ocarina kit. The image of the ocarina was turned on end to give it some character, and the colorful label made it an eye-catching impulse buy next to the registers. Measures 3.25" across.